Back to the five of us in that London pub. What was it about this experience we shared at CFYT, at what was essentially an ‘after-school’ club? Our time at CFYT together gave us a strong affinity long after we had gone through university, careers, marriage and children. I felt that nothing else had come close in terms of this shared affinity and my memories of CFYT. Over a short series of posts, I’d like to share three of my favourite memories with you – of both CFYT and my brother, as for me, the two are irrevocably intertwined. The first is of Captain Stirrick by Jeremy James Taylor and David Scott, which was performed in the CFT Tent in August 1987. The play, written for the National Youth Theatre, centred around a gang of child pickpockets which operated in St. Bartholomew’s Fair in the London of 1807, led by the titular character, Ned ‘Captain’ Stirrick’. As a performing space, ‘The Tent’ certainly added a uniqueness to Captain Stirrick. A ramshackle yellow and white striped marquee, it sat where the Minerva does now (it could have come straight from the St. Bartholomew’s Fair of 1807 itself!) It was The Tent in particular that left a deep impression on me as in spite of the many plays I have done in the 27 years since, Captain Stirrick is one that I can still remember with crystal clarity. I can still smell the musky, dampness of The Tent, still get goosebumps when I recall the eerie ballads of the show, and still remember the nerves turning to adrenaline as I crossed the stage for the first time.For me, this show was personally important as it sparked a love for creative writing, acting and history that has stayed with me. It was also the first time I had been in a show outside of school, in an environment that was, essentially, professional theatre. The audience and cast were transported back in time each night by the entire performing environment to the world of the play, a vital feat when putting on any show, especially one such as this. 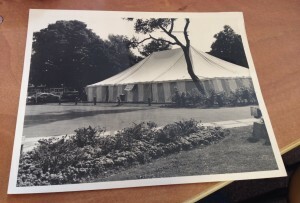 And inside that tent, in August 1987, the world became the London of the reign of King George III. 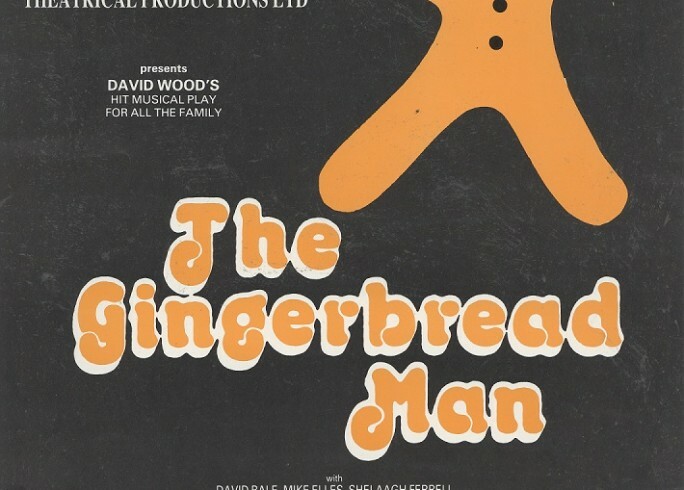 I believe it was this magic which stuck with me and that I also shared with Phil in our CFYT debut, and with many others in subsequent years, which created that subconscious bond that has stayed with me to this day. And it is this bond that brought us together again after the loss of one of our number.